I WAS the kid who always wanted to put his lucky dip back and choose something else until he got something that he liked. So perhaps experimental travel isn’t for me. It’s a method of travel that invites you to experience a place you know in a new way, or a place you don’t know in a different way. It means setting yourself strict preconditions to a journey, and sticking to them. The idea is that these arbitrary – and quite frequently bonkers – rules force you to see it in a different light. 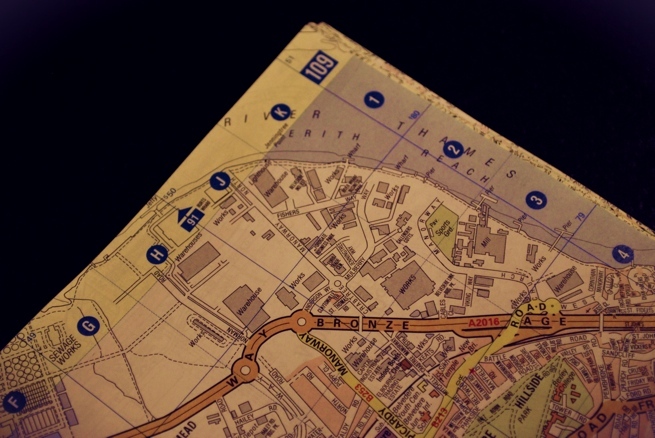 Some examples include “Backpacking at Home” – being a backpacker in a cheap hostel in your own city – or “Monopoly Travel” – find a Monopoly board for your chosen city and use it to navigate your way around the city, using dice to dictate your position on the board and, hence, in the city. I read about all this last week in the excellent Lonely Planet Guide to Experimental Travel. But you can read about all of the ideas in the book, from the author, here. Anyway, I had a Saturday to myself, solo, and I was at a loose end. So I decided to give it a go. The first method that I decided on was A-Z travel – find the first place in the index of the A-Z of where you live and then walk from there to the last place in the index. I’m not sure when you last looked in the index of the London A-Z, but let me refresh your memory: A is for Aaron Hill, E5, Beckton – just next to Beckton Sewage Treatment works and London City Airport. 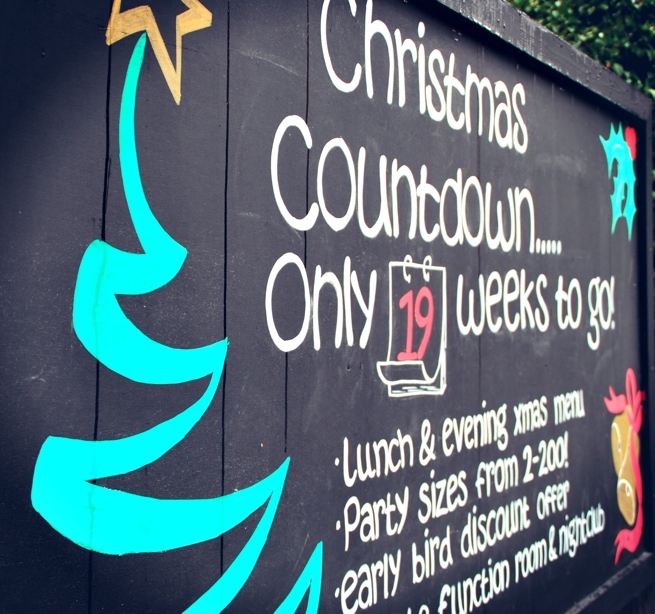 And, coincidentally, a mere 12.1 miles from Zoffany Street, N19, in Holloway. Yeah, maybe not. So next was travel to K2. All you have to do is open a map of a place at random, and then travel to grid square K2 on the map. So I opened the A-Z of London. I got an industrial estate in Thamesmead. I closed the A-Z. But I don’t want to go there… can I pick again? Instead, I decided to make up my own experimental travel. I decided to visit the grave of a dead poet. It’s not a usual tourist destination and it will force me to go somewhere new. Thus, I decided, the criteria of experimental travel (such as they are) would be met. A quick check of poetsgraves.co.uk (you mean you don’t have it bookmarked? 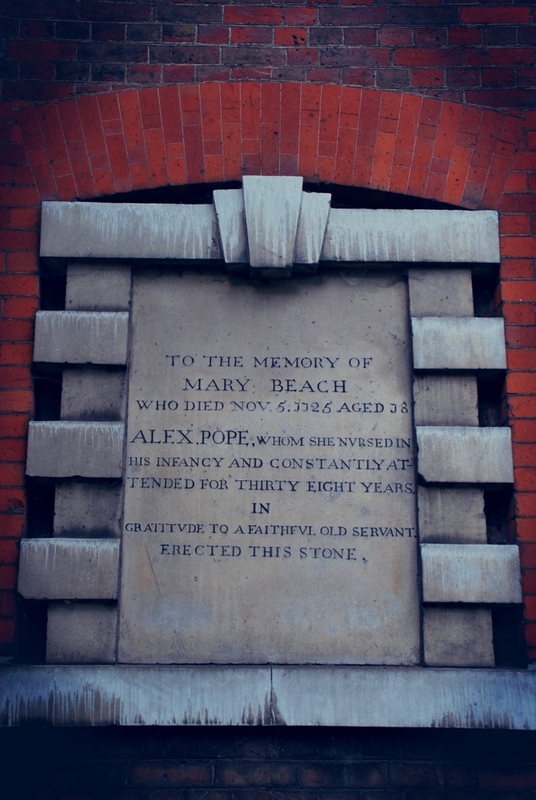 Now’s your chance…) and I had my target: the resting place of Alexander Pope, Twickenham. Pope, writing in the early 1700s, was a great satirist: he wrote about hypocrisy, greed and high society. He was a contemporary and friend of Jonathan Swift (of Gulliver’s Travels fame). He was also ostracised as a Catholic, stunted from ill health as a child (he had a hunchback and grew to be only 4ft 6in) and wrote bitter, angry, funny poetry. In short, there’s a lot to like about Pope. So why not visit his grave? I packed for my journey: London 2012 water canteen (surgeons have tried to separate it from me, but no success so far), camera, and a copy of James Boswell’s London Journal, 1762 – 1763. 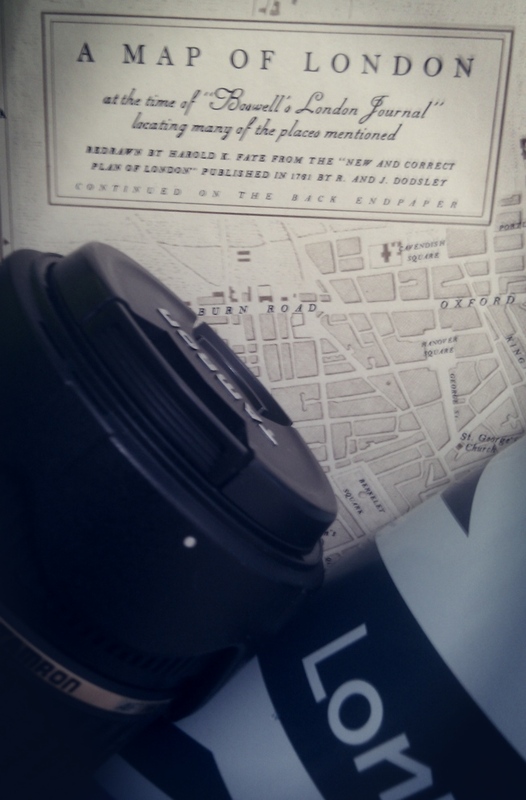 Boswell’s not quite a contemporary of Pope’s, but he was the best guide to eighteenth century London that I had. His map wasn’t much use, though. Obviously I am massively pretentious for taking the Boswell. I only took it to look good, I thought it would be boring. I opened it randomly when I was on the train into London, and started reading. This is what I read: “I was really unhappy for want of women. I thought it hard to be in such a place without them. I picked up a girl in the Strand; went into a court with intention to enjoy her in armour. But she had none. I toyed with her. She wondered at my size, and said if I ever took a girl’s maidenhead, I would make her squeak.” I closed the book. Great, just great. I’d packed the eighteenth century equivalent to Shades of Grey. Now how am I meant to look down derisively at people reading it on the tube? I suppose that I won’t have to look over their shoulders anymore to read it, though. 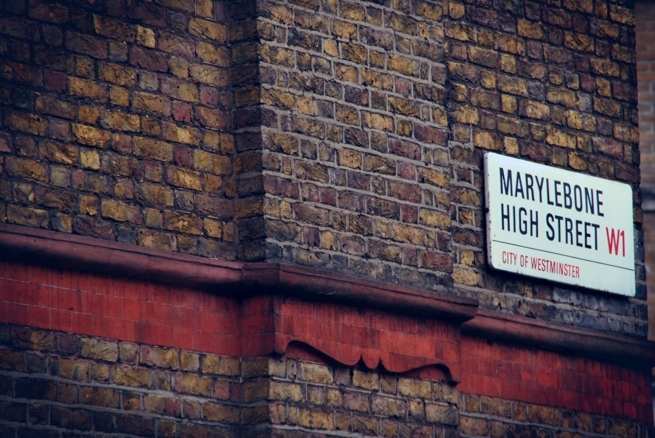 I made a detour on my way to Twickenham, to Marylebone High Street. I walked past an hour long queue for Madame Tussauds. Who would queue for an hour to go an see some wax models? 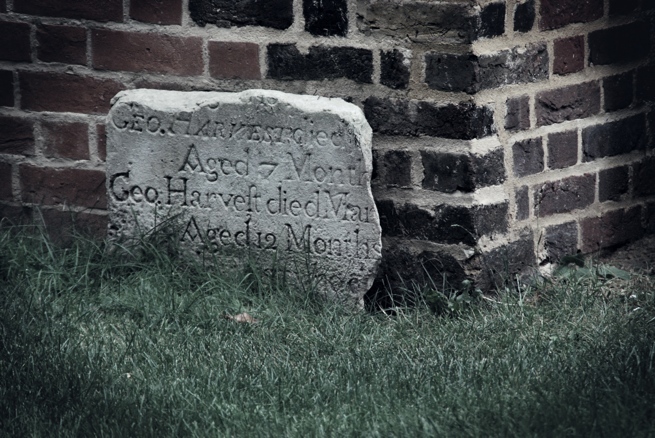 I shook my head, walked past and checked that I was on time for my trip to a graveyard on the other side of London. Marylebone High Street was an attempt to acclimatise myself to West London ways. It’s like making a gradual ascent of a mountain so you don’t get altitude sickness. Remember, I live in South East London. It’s the cultural equivalent of sea level (sorry South East London, but you know it’s true. And anyway, who wants to live on top of a mountain, right?). I ate lunch here. I had thought that bringing Boswell’s journal made me pretentious, but sitting here, with my crab spinach wrap in hand, I felt strangely welcome. Also the disposable cutlery wasn’t made of plastic, nor wood. It was made of reconstituted potato starch. That’s right, cutlery made of POTATO STARCH. It’s bleeding edge organico-eco-green living. I also saw a woman doing her weekly grocery shop at this place. I mean, it was about £5 for a carrot. Who buys their carrots at a place like this? I suddenly felt very out of place in Marylebone. I looked for an Argos instead. That would restore my smug pretentiousness. Strangely, there isn’t an Argos on Marylebone High Street. I did manage to steal a potato starch knife, though. Take that, West London! 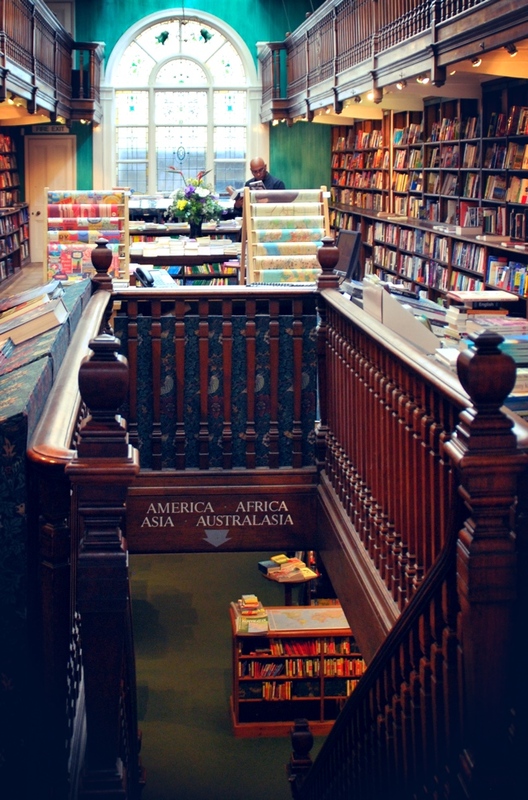 Actually, my real reason for the Marylebone stop was to visit Daunt books, a fantastic travel book shop. I had a book token burning a hole in my pocket. Happily having just spent twice as much as I would I have paid on Amazon, I left the bookstore with a smart new book on travel photography. Next stop: Pope’s grave. I took this picture in August. AUGUST! This really depresses me. Our lives really are no more than endless steps along the Christmas hamsterwheel. It just keeps coming round again and again, sooner each time. I passed a few kebab shops, some chain pubs, a bit of graffiti. A Waitrose. That’s all that West London is, I realised: it’s just like south east London, but with a Waitrose. It started to drizzle. Actually, then I found the nice part of Twickenham, next to the Thames. In South East London, the Thames is big enough to sail an aircraft carrier down. I’ve seen cruise ships moored off Greenwich. 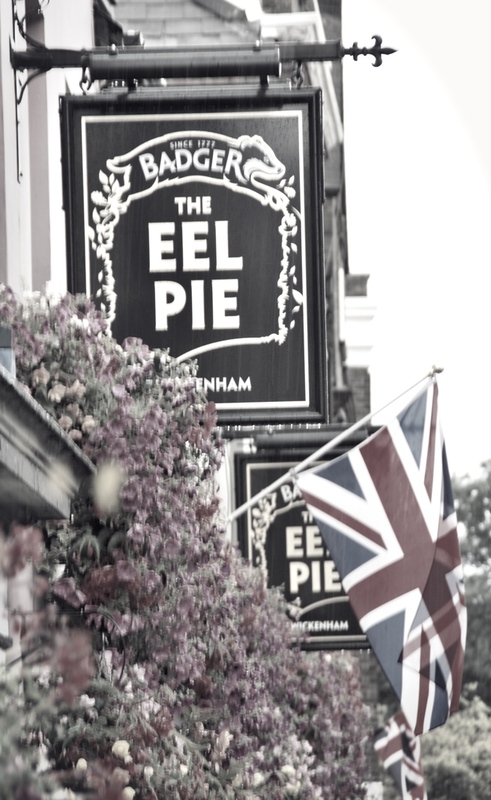 In Twickenham, the Thames is a pleasant river to stroll along, possibly stopping at a pub for some Eel Pie and a real ale, before taking out the rowboat for a bit of a paddle. The Church! The Church where Pope is buried! I’d found it. But more importantly, I’d also found somewhere to shelter from the rain. Not that it was open, of course. I sheltered under the trees. The cemetery was small, but old. I walked amongst and, frequently, over the graves. This is not a cemetery where people still get buried. 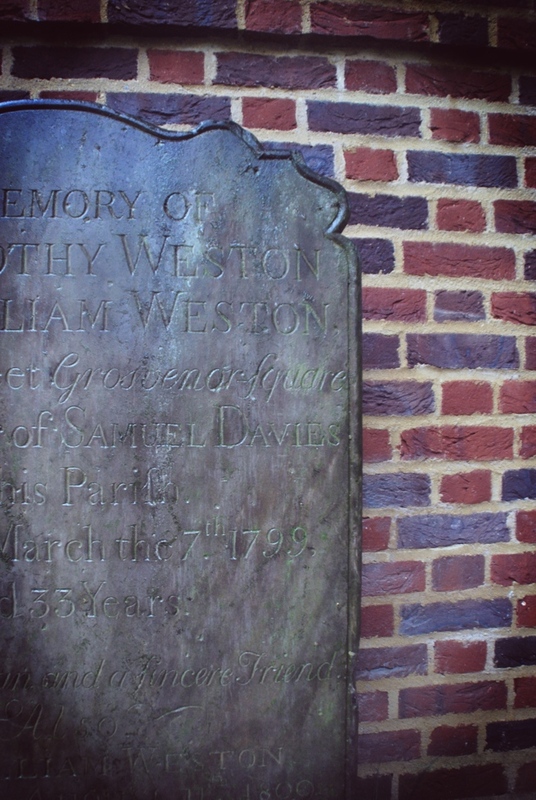 One of the more discernable headstones from 1799. This cemetery is calling out for a Time Team episode. Where is Tony Robinson when you need him? I really can’t think of anything funny to write about this headstone. Tragedy spans centuries. 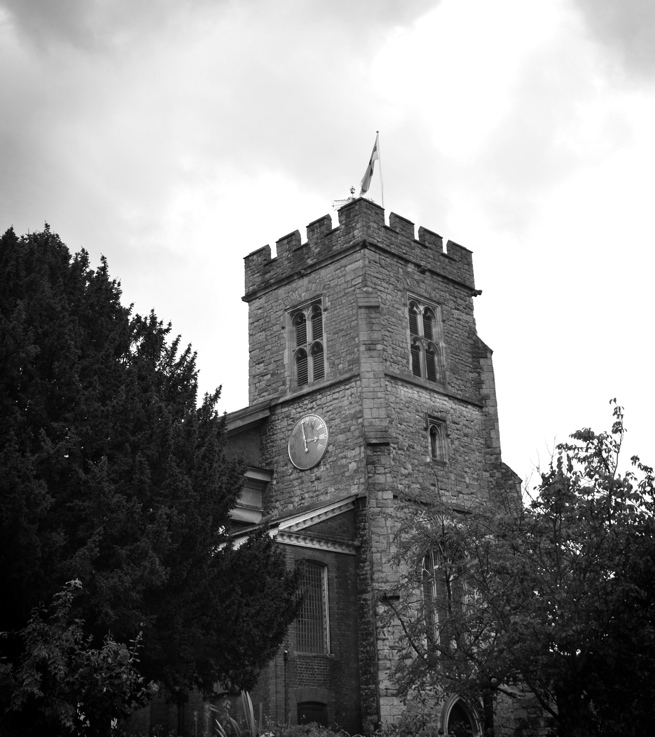 I’d done a few orbits of the churchyard, checking headstones and taking pictures. 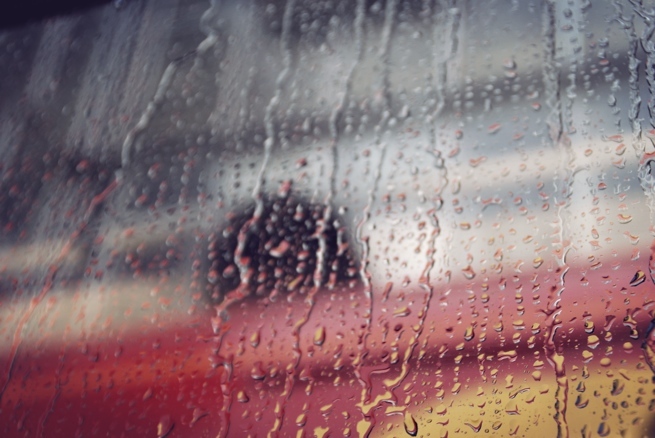 Many were faded beyond readability, others were made unreadable by the glossy sheen of rainwater that covered everything. Was one of these Pope? I had no idea. Is that the sky reflected in the rainwater, or my own growing sense of futility? A cracking, rumbling peal of thunder that shook the sky roused me from my headstone enquiries. I stood, alone, in the cemetery. And did I feel perhaps a little bit odd, a little tragic, that I had chosen to spend my saturday coming to this place on the other side of London? Maybe a little, but that moment when the thunder rolled around the cemetery was delicious in its atmosphere – what better, what more appropriate place, could I be during a thunderstorm, I thought to myself. I felt like a character in a novel. And then it started to rain. I mean, properly rain. As I sheltered under the eaves of the church, I realised that actually, yes, I could think of several better places to be during a thunderstorm. Sod this, I thought, and pulled out my phone to let the internet tell me where in the graveyard Pope was buried. A swift google search later gave me the answer: inside the church. Pope isn’t even in the cemetery, he’s in the sodding church which was LOCKED! My shoes filled with water. My jeans gained several pounds in weight and the denim began to stick to my legs. My coat wasn’t waterproof. My umbrella was inadequate. 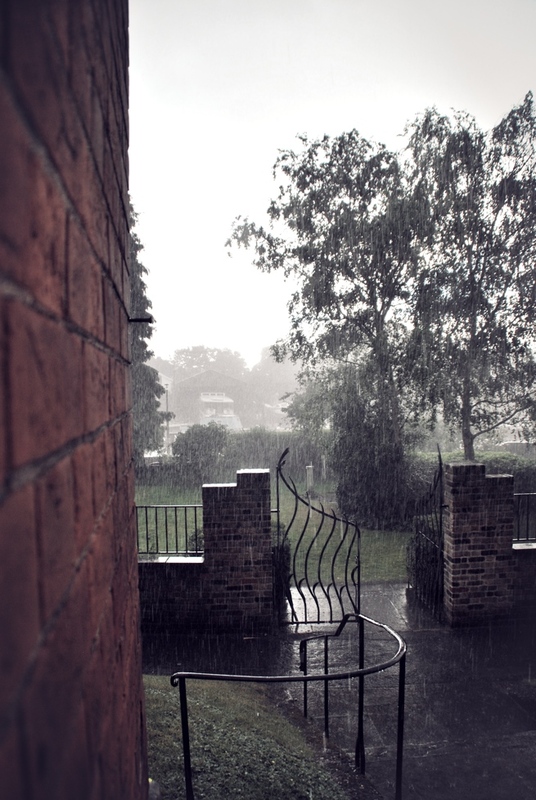 I stood under the eaves of the church taking pictures of the rain, until it was too wet to do even that. So instead I just stood and cursed the world. 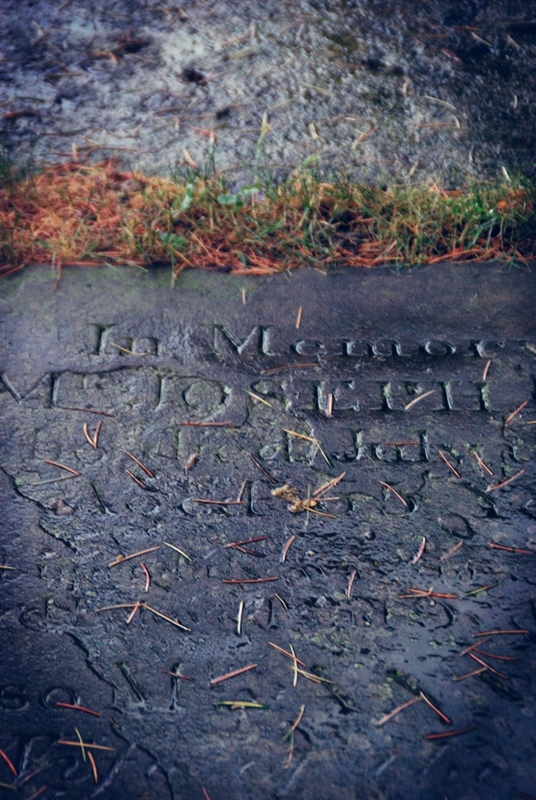 It’s not his grave, but it’s the grave of his servant and nurse. And he put it there himself. I count this as a victory. My mood lifted immediately. None of it had been in vain! I’d found, sort of, what I came to see – evidence that Pope had been here. I gave a cheery wave to the people still sheltering in a doorway on the other side of the road, and squelched my way back to the station. I felt pretty good. I’d set myself some arbitrary rules, I’d been to a part of London I’d never been before, I’d had an experimental travel experience. My reward to myself? I went and bought my dinner at Waitrose. This entry was posted in Uncategorized and tagged Literature, London, travel by elsewhereunderwritten. Bookmark the permalink. What a lovely post. And this made me laugh: “That’s all that West London is, I realised: it’s just like south east London, but with a Waitrose.” Hear, hear. Thanks, I’m glad that I brought a smile to your lips. The lady at the till in Waitrose did raise her eyebrows a little when I squelched up to her till. But then I put a jar of sundried tomatoes on the conveyer belt, and she knew it was all going to be ok. Thanks for reading. I’ll be visiting NZ next year, so I’ll be sure to (check out some of your headstones?) 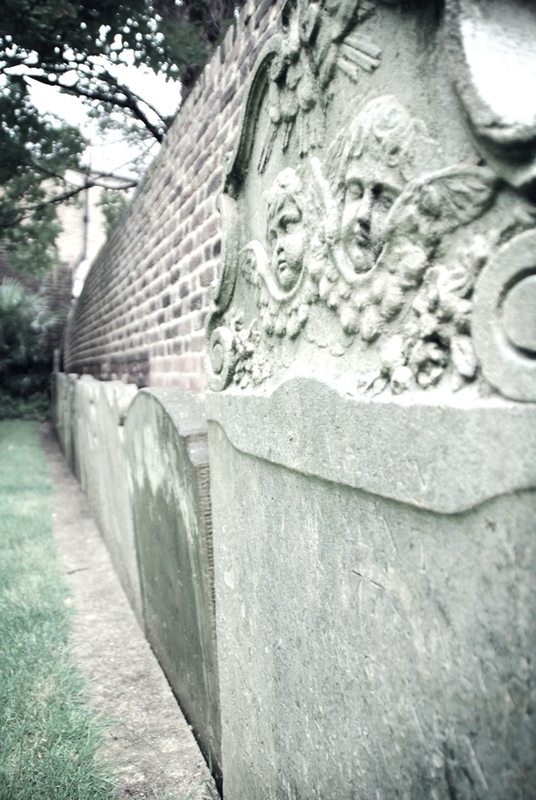 (admire your cemeteries?) 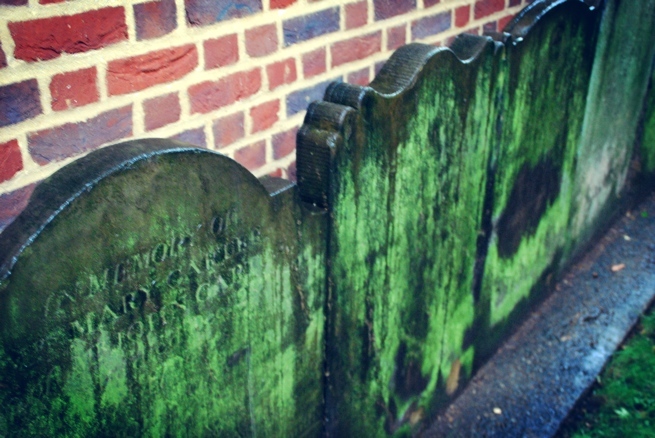 (soak up the history of your graveyards? )… There really is no way to write that without sounding morbid! Anyway, I look forward to all your country has to offer. Tips about the whereabouts of dead poets welcome. Thanks. I might hold you to that!